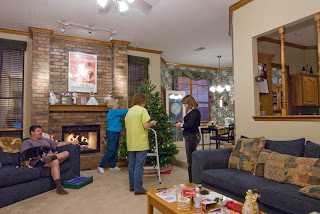 A few images of our Christmas tree decorating evening. My aunt was in for the weekend and helped arrange the over 500 mini-lites on the tree. 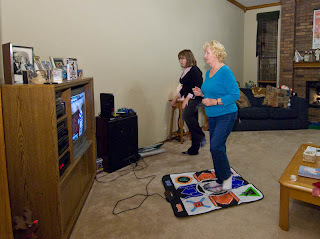 She also had some time to try DDR with Amber as guide. Irene finished the tree after the camera was put away, so I will have to get a completed shot later this week. 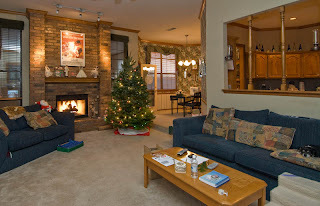 Hope you all have a wonderful holiday season.